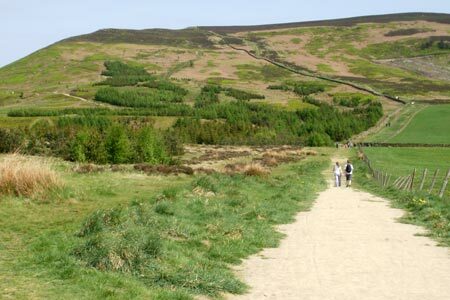 This North York Moors walk offers some excellent views and can easily be completed in half a day. The route visits three tops along a ridge using the Cleveland Way. The route also coincides with part of the Wainwright's Coast to Coast walk. A GPX File is available for download (see walk description).